The end of the British rule paved way for the freedom of the masses at the time of independence. However, it was at the cost of the economic and socio-political exploitation of the masses. The division of the British colony into the two states ascribed to the circumstances was a heart wrenching and sordid state of affairs post-independence. The mass migration of the people across the borders with the grim reminders of devastation still lurks in the annals of the historical accounts, leaving behind stories and tale of agony, pain and what not. The manifestations of the partition are however still rampant after 70 years of Indian independence. The animosity between the two nuclear powers is growing day by day. The world of today is enmeshed in the series of conflicts and face-offs. Be it India or the world-view of the foreign states, this is a sort of rupture in the global order and peace. From the disorder until the crises in the Middle East, Syria, Yemen, up to the Palestine-Israel conflict, Man is the bearer of the whole story and the effects thereof are the grim reminder for a state of equilibrium, lest we are doomed for a holocaust effect in the mean course of time. India and Pakistan are two sides of the same coin, that is, belong to the Asian region with a shared neighbourhood and a state of responsibility. our ex-honourable Prime Minister of the country once said that we can change friends, but not neighbours. Kashmir is today the biggest hotpot and a bone of contention between these two nuclear states, assuming the likewise fate of a festering wound with each passing day and getting entangled in a myriad controversy with the passage of time. For India, the notion of the crown and for Pakistan, it remains a jugular vein. But, it is the common man who suffers at the cost of conflict which is achieving unimagined proportions with each passing day. The world of today envisions a peace not only for the contemporary times but also for the days to come. Peace cannot be cherished in isolation. It manifests from within and is null and void without. Man is at the centre stage of the whole process and yearns for a peaceful global order. The line of Control (LOC) which divides these two countries across the vale of Kashmir has unfortunately turned into a war zone. The worst sufferers are the people living on both sides of this dividing line. Not only people are killed, but also there is a damage to the property, cattle are killed and subsequently there is an environment of chaos and uncertainty. The recent closure of schools for days along the LOC area is a cause of concern for the educational sectors with the addition of problems for the education of the children. Ultimately, the common man(Aam aadmi) is the final bearer of the pain and disorder. The security apparatus of both Indian and Pakistan LOC sides guarding LOC at their respective locations should display a civic and a responsible sense of refraining from shelling each other’s side with an aura of touch for the greater good of the people at the respective sites. This will not only create a congenial atmosphere of peace but will also create a sense of social responsibility for each other. The recent killings are a grim reminder of the fact that only peace can promise a prospective peace of future. India and Pakistan should come across the table of dialogue to better their strategic ties and resolve the issue at stake. The past meetings of interlocutor Mr. Dineshwar Sharma is a step in right direction to feel the pulse of the aspirations of the masses and resolve the issues for the occupancy of peace and order in value for the larger good of the future. However, the party to the conflict resolution, that is separatists have also to be invited for the resolution of the conflict. Time and again, the aspirations of the common man are engrossed in the peace and stability of the system. Also, Pakistan is also a major party to the issue and hence needs a consideration across the table. The triple antidote of the Vajpayee era of Kashmiriyat, Jhoomuriyat and Insaniyat can be better employed across the spectrum of the conflict in order to understand the situation better at the grassroots level and nip the problem at the bud is the need of the hour. 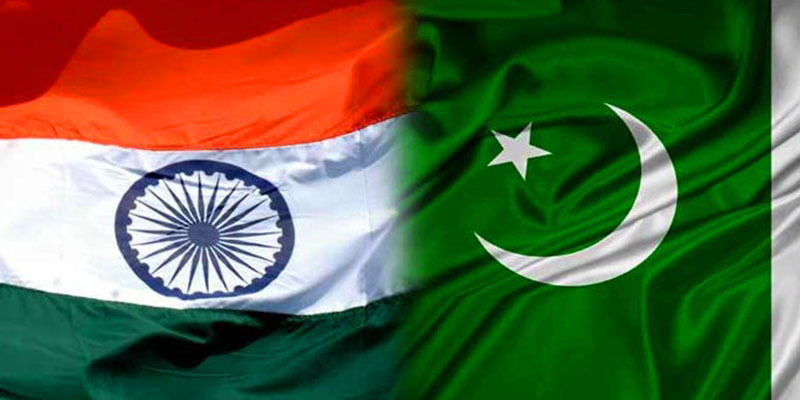 The dialogical process can help to better the ties of India and Pakistan which are at the crossroads for a few months ago.NSA’s level talks should subsequently pave way for the Foreign Secretary-level in order to make the road smooth for the ministerial level meeting. A sort of congenial atmosphere is ultimately remedied to the animosity and a boost in the arm for the resolution of the biggest South Asian issue at stake. If not tackled in time, the rift can blow into a full-time crisis which is not good for the health of a nation. Right from the time of UPA government until today, a lot of discussions, debates and roundtable conferences have been held between the leadership of the two countries, India and Pakistan, The four-point formula of Parvez Musharaf is considered till today a great formulation of a leader of Pakistan by policymakers and various thinkers. The interlocutors appointed by the UPA government was also a step in the right direction, however, it could not blossom into a perfect ideal ascribed to circumstances thereof.Mr. Dineshwar Sharma has held a lot of talks with a number of stakeholders, but what remains to be seen is the outcome of such reports and meetings of the interlocutor with the people of the state. The ramifications of the Kashmir conflict are multiple. Economically, the people suffer and by other means too. The opening of the cross-LOC trade was a vital moment for both the countries, giving a boost to imports and exports of each other and complementing each other’s economic growth and development. But, the hostility between the two nations created an atmosphere unhealthy for the trade and economy of both the countries. This creates a void in the trade balance which manifests in the increase in the crippling of the economy, dragging down the economic fortunes of a common man. Thus, rift blows into a crisis and the tap keeps running on. In order to boost the economy and development of the J&K state in particular and economy in general, there must be a pillar of faith on which hinges the faith of the people. Kashmir is yearning for an order and balance. Only dialogue can help to revitalise the state in future.